We are vibrant, we are young, and we are fun. We love what we do, and we are damn passionate about it, and we are always in search of people like us. Our growth and success is outnumbering our staff growth, and thus our glass of water is never filled to full. If you want to live the fascinating lifestyle that Nanosoft offers and If you are vibrant, energetic, and innovative and can think out-of-the-box working with a diversely talented team, we have a seat for you at Nanosoft. Simply send in your profiles at info@nanosofttek.com and for sure you would love to work with us. 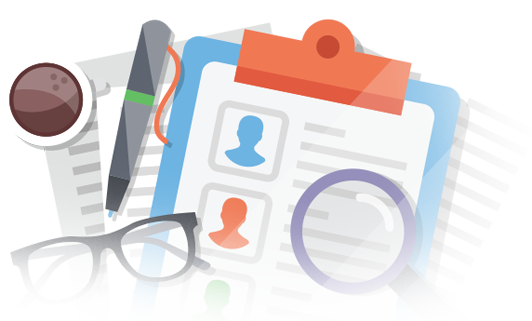 Be honest in the information you provide, including your CV & Interview We value amazing talent and to make sure we welcome the right ones, we scrutinize all the applicants quite closely. Here we would like to offer you some tips before you apply at Nanosoft Technologies. Be honest with whatever you put up in your resume. Stay true to what you say regarding your credentials in your interview. Make sure you do a bit of homework before you apply; discover us on the internet first, so that you may get to know us. Kindly, do not include someone else’s work in your portfolio. We will be happy with and will appreciate whatever is there on your portfolio, even if it is less for you. Make us believe how your skills and experience can help contributing in our winning team. Evaluating the performance of campaigns by analyzing results and impact of content to help develop and improve future campaigns. Creative adaptation of existing design concepts for new executions, including translation into various sizes and formats. Ability to create artwork that conforms to the style and content specifications provided. Developing designs and creative which are commercially driven, customer focused and meet commercial business objectives. Have worked on print media, brochures and logos. 0-2 years of experience in print media. Having a track record of submitting successful App(s) in the Apple App Store & Google Play Store. Strong knowledge of MVC, OOP, Memory Management, Threading. Ability to own the requirements and ensure on-time delivery. Strong OO design and programming skills in Objective-C, Swift and Android. Familiar with iOS SDK (UIKit, Cocoa Touch, Core Data, Core Location, etc). © Nanosoft Technologies Pvt Ltd. All Rights Reserved.